*The EveryDayBlackLibrary.com website has been officially launched and is the newest component of the “EveryBlack” family of websites. The purpose of the site is to provide resources for learning on a wide variety of topics with a special emphasis on the use of technology for African American entrepreneurs and professionals. The website slogan is “Educating for the Information Age!” Initial offerings are focusing on webinars addressing social media platforms but will be expanded to include training on public relations, marketing, financial planning, event planning, fundraising, networking and more. To meet the growing demand for additional course offerings, trainers are encouraged to submit proposals for webinars in their particular area of expertise. Proposals can be submitted by email to Jimmy@Every.Black. 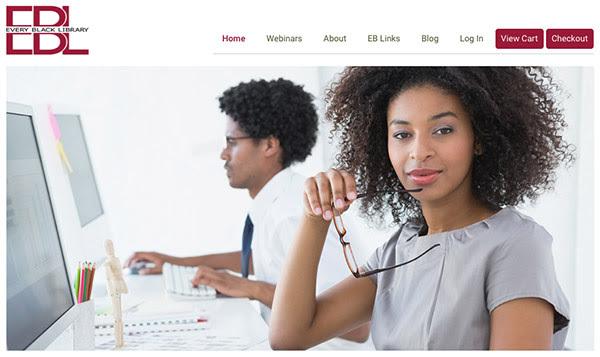 A complete webinar schedule can be downloaded from the site at EveryBlackLibrary.com. Webinars currently range in price from $0 to $20. A 50% discount is given to anyone that is a member of one of the following “EveryBlack” family websites; EveryBlackEducator.com, EveryBlackEntrepreneur.com, EveryBlackPolitician.com, EveryBlackProfessional.com or EveryBlackSpeaker.com. The “EveryBlack” brand of websites is the brainchild of Jimmy J. Davies of Durham, North Carolina. Mr. Davies is an entrepreneur in the computer field with over 28 years of experience providing computer training and database development services. The websites were created to provide a nurturing virtual environment to foster networking, education and success within the African American community. The sites display uplifting and inspiring images to provide a positive and moving experience for visitors. Mr. Davies believes that there is no better time than now for African Americans to support the efforts of one another and hopes that his websites can serve as catalyst to better prepare individuals within the Black community for greater achievements. Mr. Davies is available for speaking engagements on the subject of the role of technology in the advancements of African Americans throughout history.